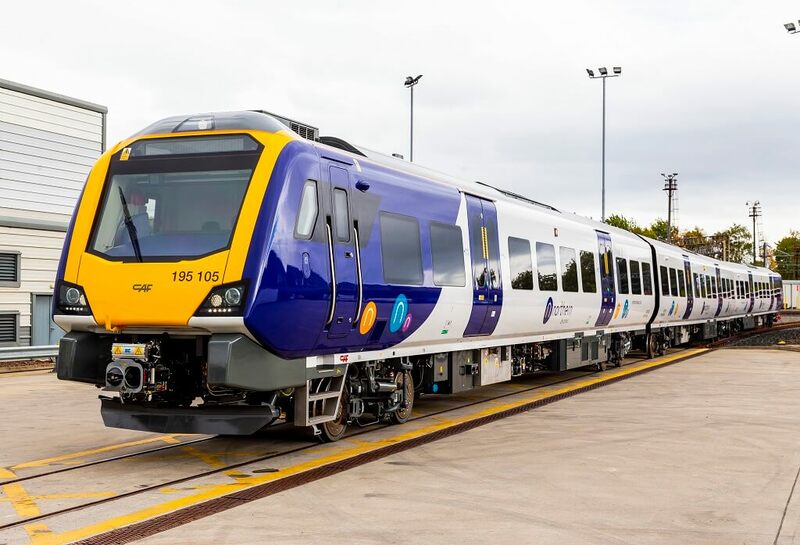 Transport for the North today welcomed the unveiling of the first two trains in a new £500m Northern train fleet that will offer improved standards of travel for local rail users in the North of England. The first of what will total 98 new trains arrived in the UK last month and were showcased by Jake Berry, Northern Powerhouse Minister and David Brown, Northern’s Managing Director in Liverpool on Thursday. The new Class 195 DMU and Class 331 EMU trains built by CAF trains, which are due to start entering service by the end of the year, will offer new standards of comfort, free customer Wi-Fi, air conditioning, at-seat power and seat reservation systems. The launch event was hosted by Northern at Alstom’s Edge Hill depot and was supported by train manufacturer CAF and owners Eversholt Rail. The new trains are just part of the improvements Northern is making to transform its customers’ rail experience. Last month Northern launched its first fully refurbished train – a Class 158 – with many of the same features as the new trains and will be the blueprint for the refurbishment of the rest of the Northern fleet. The train enhancements will continue to be complemented by further investment including an increase in services and improvements to more than 400 Northern stations. Service enhancements and rolling stock investment delivered via the Northern and TransPennine Express franchises will deliver more than 2,000 extra services per week, providing a 37% capacity uplift into five key commuter cities during the morning peak. Transport for the North continues to be instrumental in bringing transformational rail franchises to the North of England and to ensure the focus is on meeting the needs of passengers.